The world keeps getting bigger. Every serious traveler has a wish list that grows longer, not shorter, every time they dip into a new region or hear about where someone else has been. It’s not a case of when you’ll go; it’s only a question of: where? Where do you choose for that dream holiday? Where do you select for that once-in-a-lifetime adventure, that relaxing getaway, that ski trip, that road trip, the culinary tour de force? Try these top 7 new places to explore in 2017 below. With Canada celebrating its 150th birthday in 2017, there’s no finer excuse to head to the birthplace of the nation, Prince Edward Island. Travelers are falling in love with the island’s rocky red shores and picturesque fishing villages all over again thanks to several new TV and movie productions of the Lucy Maud Montgomery classic, “Anne of Green Gables.” The best way to explore the island’s capital, Charlottetown, is on foot. Upscale restaurants have multiplied on the island in the last 10 years, taking advantage of the excellent local produce. But there’s nothing quite like an old fashioned lobster supper — a massive gathering traditionally held in a cavernous community hall that ends with a table full of empty shells and butter-coated fingers. The Atacama draws adventure seekers and stargazers to its vast, otherworldly landscape of wind-carved dunes and kaleidoscopic salt lakes. Sunrise balloon rides, which started in August, reveal its staggering beauty from above. The luxurious, recently renovated Explora Atacama hotel reopened in December; overnight rates include guided desert excursions and nighttime access to the hotel’s on-site observatory, equipped with one of Chile’s largest privately-owned telescopes. Chiang Mai? Bangkok? Phuket? Been there, done that. Those looking for a piece of Thailand that’s still largely unexplored by the international market should head for the northeast region, referred to as Isaan. This vast section of Thailand is equipped with excellent infrastructure that includes several domestic airports and a range of upmarket hotels. You know that sticky rice and papaya salad that’s all the rage in trendy New York restaurants? Here’s where it comes from. Along with plenty of other fantastic dishes that are among the country’s best — provided you can handle a bit of spice. It’s impossible to see it all in one visit so you’ll have to pick and choose. There are also ancient Khmer ruins outside Buriram, mountainous national parks in Loei and Bronze Age artifacts in the UNESCO-listed Ban Chiang Archeological Site. And that’s just scratching the surface. You’ll just need to come back for more. The tiny Mediterranean country — once one of the Cold War’s most forbidding Stalinist redoubts — has been Europe’s best-kept secret for the better part of two decades. 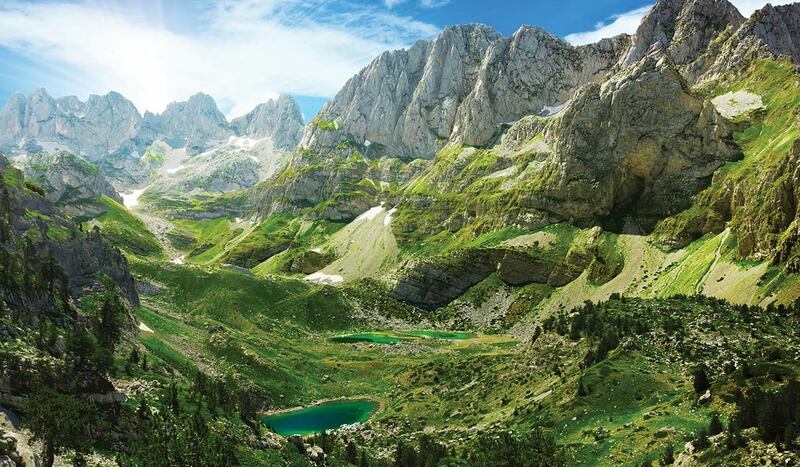 Sunny, cheap and with mile after mile of pristine beaches and unspoiled wilderness, Albania has made much of what it has after it emerged blinking into the daylight of freedom in the ’90s. With a similar food culture to nearby Greece, but often at less than half the price, Albania is continuing to bloom in 2017. The country is finding a second life for some of the thousands of bunkers and pillboxes that dot the country, dilapidated testaments to the paranoia of its former Stalinist strongman Enver Hoxha. On the outskirts of the capital Tirana, Bunk’Art has transformed Hoxha’s underground complex into a cultural center. Some rooms tell the story of the Albanian dictator through displays and artifacts, other rooms are left disquietingly empty. At the heart of the complex is a large underground auditorium, designed for Hoxha’s government in hiding, but now repurposed as a hall for jazz concerts. New parts of the massive complex are set to be reopened to the public in 2017. Expect underground art, literally. With its limestone-paved streets and 80-foot-high walls surrounding Old Town, this star of the Dalmatian Coast has long been able to rest on its aesthetic laurels — you might recognize it as King’s Landing on “Game of Thrones.” In recent years, though, it has been adding to the luster. This summer, the city is starting an electric-scooter sharing program, allowing for locals and visitors to zip up and down the coast to more private beaches. The four-star beachside Hotel Kompas is a comfy addition to the scene, and the long-awaited renovation of the grande dame Hotel Excelsior will be finished in June. The new restaurant Portrait is serving elevated takes on Dalmatian fare in Old Town. A wide band of the state will witness a total solar eclipse on August 21. “It’s rare for a total eclipse to pass over an accessible and developed area,” says Jake Haupert, the founder of Evergreen Escapes, “and it won’t happen again in Oregon for nearly a century.” In honor, he has put together a tour to experience this once-in-a-lifetime event. After joining experts from the Oregon Museum of Science and Industry to view the solar spectacle at the state fairgrounds, guests will “celebrate the event like the ancients did and indulge in tastings at two Willamette Valley wineries”—a taste of another part of Oregon’s growing cool factor. “Some places have their moments when everything comes together and they become irresistible—Paris in the 1890s, Barcelona in the 1990s, Cartagena in the 2010s,” says Red Savannah’s Morgan-Grenville. “That time for Lisbon is now. It really is one of the most vibrant, good-value, ebullient and attractive cities in Europe.” The city has reached the “tipping point,” and much-needed renovations of the beautiful old quarters have removed the aura of dilapidation. He adds, “Top chefs like José Avillez and Kiko Martins are emerging as lynchpins of a brilliant restaurant scene, which is supported by an even more energetic night-life.” And while the country’s southern beaches have long attracted international visitors, a renaissance elsewhere is under way. New hotels in recent years have added to the appeal of exploring the country, including the charming Areais do Seixo, on the coast north of Lisbon, Porto’s exquisite Yeatman hotel and Six Senses’ resort in the Douro Valley. It will be all about great experiences, all about immersing yourself in a destination, living like a local, of “doing” rather than just seeing. Of course, there are no wrong answers when it comes to travel, no bad decisions in choosing a destination. Every country, every city, and every town offers something fascinating and unique. But if you need inspiration for 2017, refer top 7 new places to explore in 2017 above.